In November 2016, a number of NGO’s were revealed by independent European news source GEFIRA to be smuggling migrants from the northern coast of Africa across the Mediterranean into the EU using a ramshackle fleet of ships. Research by Disobedient Media shows that a number of the organizations sponsoring ships in the armada are funded in part by Hillary Clinton donors and organizations run by billionaire George Soros. The actions taken by sponsors of ships in the fleet may be illegal under EU law and possibly run the risk of aiding ISIS operatives hiding among the migrant population. On November 15, 2016 GEFIRA published evidence they had gathered that various NGOs were utilizing a fleet of more than a dozen boats in the Mediterranean to illegally transport migrants from the North African coast to Italy. 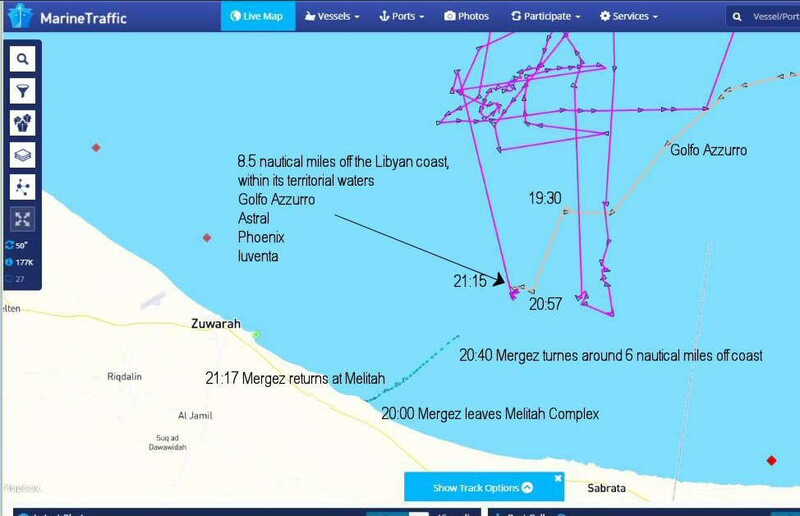 GEFIRA used AIS Marine Traffic (Ship-tracking software) signals, Twitter and the live reports of a Dutch journalist on board of the ship Golfo Azzurro to document alleged collaboration between NGOs, the Italian Coast Guard and smugglers coordinate their actions. The ships were caught on radar moving between the Italian and Libyan coast moving migrants into the EU. The Italian coast guard directed ships in the fleet to Libyan territorial waters, where they would engage in “rescue operations” and take migrants onboard before delivering them to the Sicilian coast of Italy. This would allow migrants to bypass Malta, which is used as a major processing center for immigrants and refugees entering the EU. 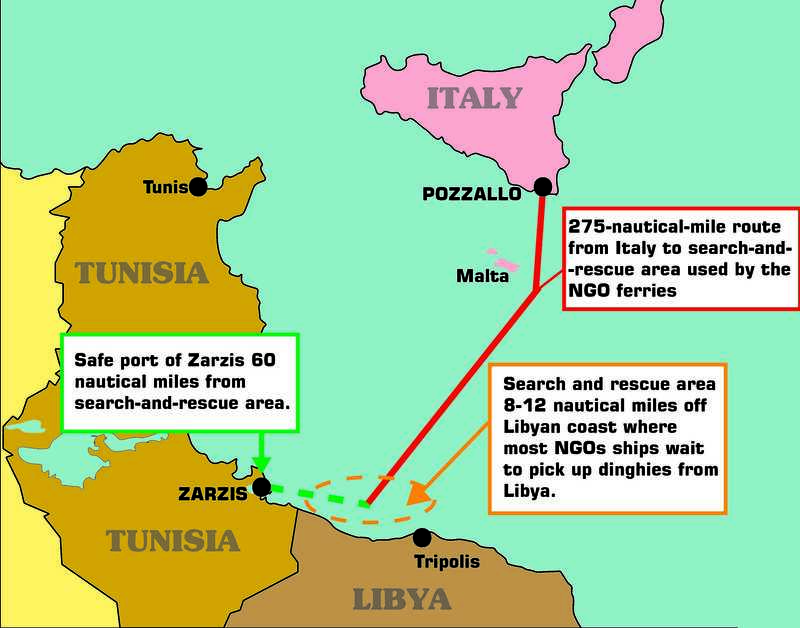 GEFIRA speculated that the Dutch, Maltese and German based NGOs’ facilitation of human smuggling made them, in effect, operations of international criminal organizations. The NGOs tied to boats involved in the operation were Migrant Offshore Aid Station (MOAS), Jugend Rettet, Stichting Bootvluchting, Médecins Sans Frontières, Save the Children, Proactiva Open Arms, Sea-Watch.org, Sea-Eye and Life Boat. Information uncovered in an investigation by Disobedient Media has revealed that several of the NGO groups involved with the migrant fleet have received funds from George Soros aligned organizations or financial backers of Hillary Clinton. The Migrant Offshore Aid Station (MOAS) was founded in 2014 by entrepreneurs Christopher and Regina Catrambone. MOAS operates the ships the Topaz Responder and the Phoenix in the migrant fleet. Mr. Catrambone was listed as a major donor to Hillary Clinton, giving over $416,000 to her presidential campaign bid in 2016. Another major supporter of MOAS is avaaz.org, who donated €500,000 to MOAS’ “search and rescue operations.” Avaaz.org was founded by Moveon.org, an American organization owned by George Soros. Avaaz.org acts as the European branch for Moveon.org. NGO group Save the Children operates the Astral in the migrant fleet. Save the Children is supported in part by George Soros’ Open Society Foundation. Médicins Sans Frontiéres (MSF) also operates several ships in the migrant fleet – the Dignity 1, the Bourbon Argos and the Aquarius. MSF has also received funding from the Open Society Foundation. Other organizations running ships in the fleet, such as Sea Eye, have denied to news sources that they were delivering migrants to Italy, despite being caught by GEFIRA doing exactly that. No matter what good intentions might be behind the decisions of these various NGO groups to operate ships in this fleet, they are likely illegal and are in effect subverting European law. The financial involvement of George Soros and other big name supporters raises questions about the true intentions of various sponsors operating ships within the fleet. Many of the migrants seeking entry to the EU are not refugees and are attempting to enter for purely economic reasons. Even more concerning are recent reports that terror group ISIS has begun to dominate the trafficking networks in North Africa and is actively recruiting members from among the migrant population with promises of small amounts of cash and guaranteed safe passage into the EU. The involvement of ISIS in human trafficking and recruitment indicates that there is a very real possibility that the NGO groups operating ships within this fleet may be (intentionally or not) aiding and abetting terror by transporting undercover operatives into the EU.